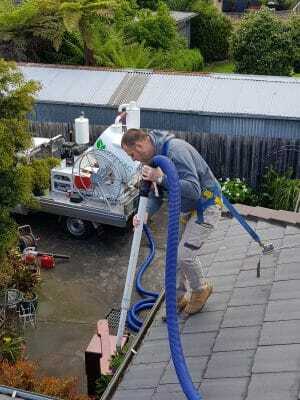 Brighton may be a gorgeous place to live in Melbourne, but all those heavy sea breezes mean regular gutter cleaning should be part of your usual routine. Gutter cleaning isn’t the easiest or most glamorous task, which is why hiring a professional gutter cleaner in Brighton is your best bet. Regular removal of leaves, twigs, rubbish and grime from your gutters is the easiest, most affordable way to ensure you prevent significant damage to your home as the seasons change. Blocked gutters can lead to all kinds of problems, with a build-up of water creating leaks, overflow and wood rot that can cause serious damage to your living areas, gardens and the foundation of your house. Stagnant water can also attract a series of pests and create a breeding ground for mosquitos, insects and harmful bacteria. To avoid these issues, contact the gutter cleaning experts at LeafVac today on 0455 488 837 and take advantage of our no fuss, no mess gutter cleaning service. Our professional gutter cleaners use a truck-mounted highly powerful vacuum extractor to quickly and quietly remove blockages from your gutter with ease. If you’re looking for a reliable gutter cleaner in Brighton, LeafVac provides long lasting results you can trust – we’ll even provide you with a before and after photo of your gutter to prove it!